A weatherproof Mylar cone Loudspeaker with ferrite magnets and a square mounting bezel. This is specifically designed for outdoor use as the Mylar cones are impervious to water or moisture and its wide frequency response makes them suitable for many applications including alarm sounders. 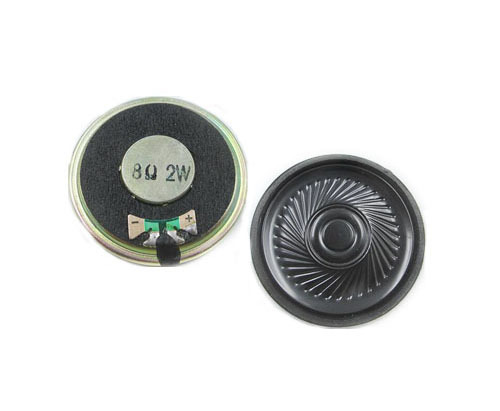 Looking for ideal 40mm 8ohm Speaker Manufacturer & supplier ? We have a wide selection at great prices to help you get creative. All the Mini Mylar Flat Speaker are quality guaranteed. We are China Origin Factory of 1w Mini Mylar Speaker. If you have any question, please feel free to contact us.